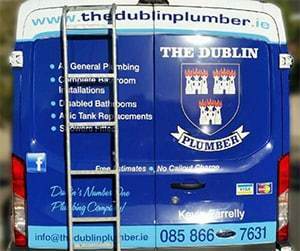 The Dublin Plumber, Kevin Farrelly, operates an emergency plumbing service in the Dublin area. Our rates are displayed below. The Dublin Plumber is proud and totally transparent about their charging policy. We do not have a call out fee this means that you are not being charged for thedublinplumber.ie either calling or leaving your home. Its only when we arrive at your home and work commences that you are charged. The Dublin Plumber is totally transparent about their charging policy. We do not have a call out fee! It means you are not being charged for The Dublin Plumber calling to or leaving your home. Its only when work commences that you are charged. This work may take different forms, one of which is fault finding diagnostics using equipment such as cameras or leak detection. Another may take the form of using hand and power tools to start fix the problem. These are only two examples in a myriad of ways that rectification and emergency works may take place in your home. Kevin Farrelly is ‘The Dublin Plumber’. He has over 20 years experience offering specialized, high-quality plumbing and emergency plumbing services at affordable prices.